"I've been playing with four patches again. I shared a few peeks at the blocks I was making, but this is what I finally decided on. 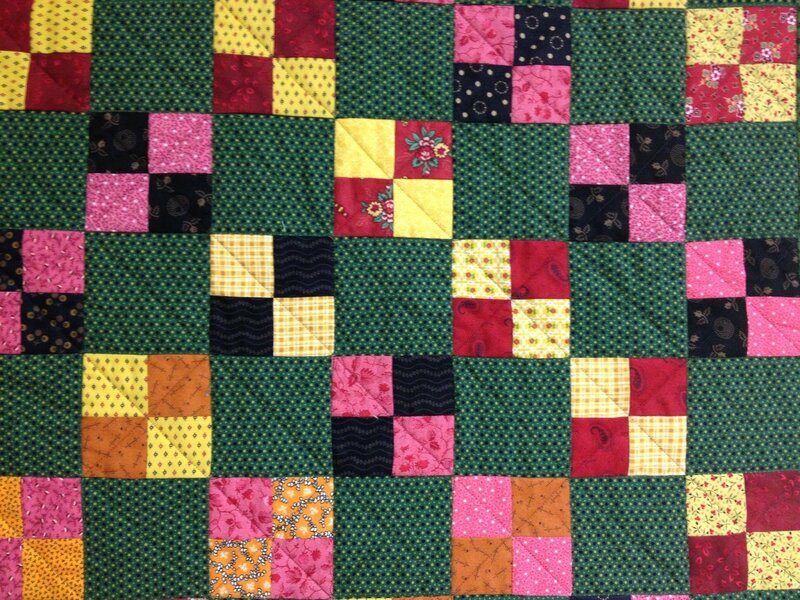 I am happy with the finished quilt, and must say, sometimes it's fun to just do something easy that makes you smile. 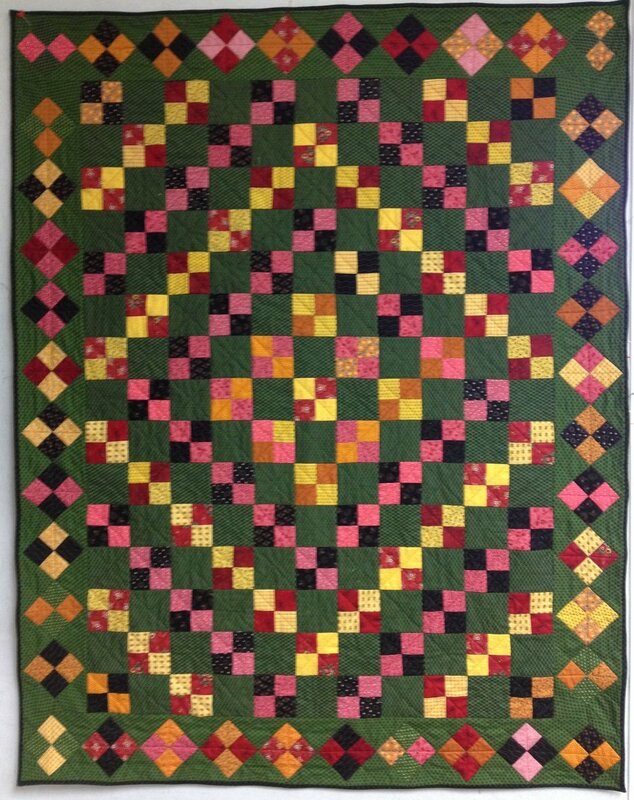 This quilt definitely makes me smile. 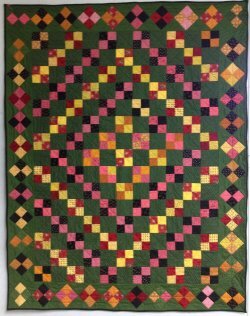 I love these color, and I was inspired by a quilt made in 1875, that I found in this book (The Ultimate Quilting Book, by Maggi McCormick Gordon).